Decline magazine is a lifestyle publication dedicated to the sport of mountain biking. It is a popular source for articles, upcoming events and news in the industry. 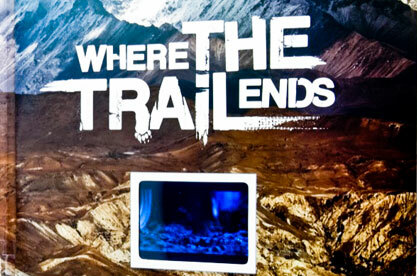 The publication wanted to promote the documentary "Where the Trail Ends". 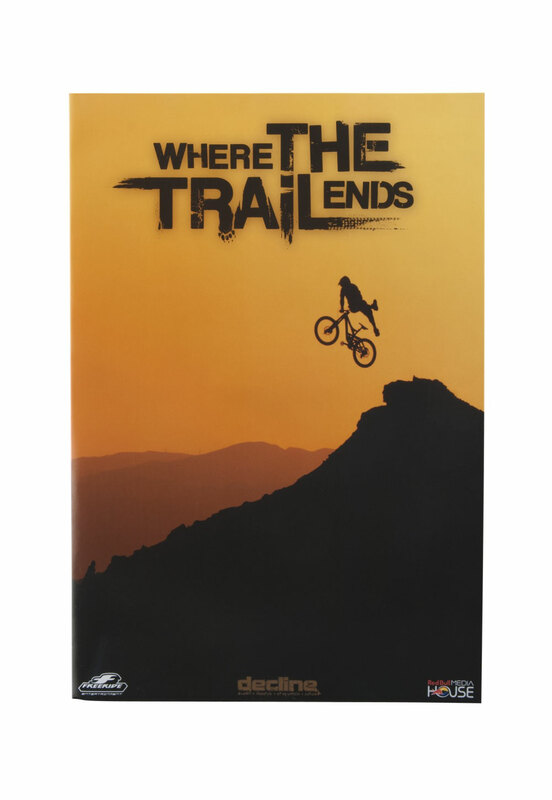 The film follows the top free ride mountain bikers as they attempt to take on the most challenging, un-ridden terrain throughout the world. It chronicles the most progressive free riding feats ever attempted to date, as the rider's re imagine the limitations of human possibility. The readers of Decline were the target demographic for the documentary, but a standard print ad does not match up to the effectiveness of a movie trailer for generating buzz and interest in a film. Amerchip's patented Video in Print technology was the perfect solution. 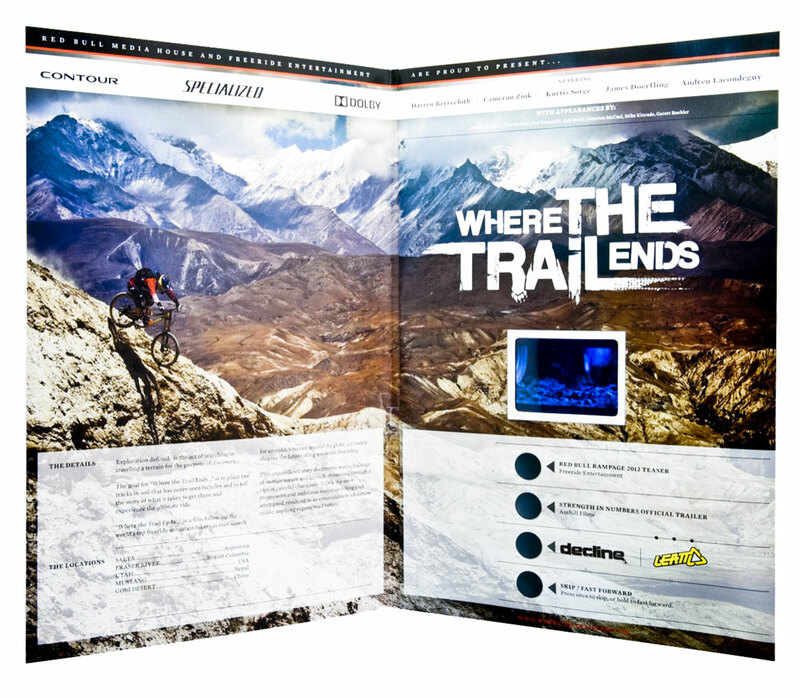 Through a collaborative effort between H3 publications, Decline magazine, Red Bull Media House, Free Ride Entertainment and the retailer Leatt, a 2.4" LCD video screen delivered an engaging, high quality trailer as soon as the insert was opened. The video was set against the backdrop of a rugged mountain terrain while four chapter buttons allowed the co sponsors to share their message with the readers. The feedback from the recipients was overwhelmingly positive. The sheer novelty of the technology and the compelling movie trailer instantly engaged them and left a lasting impression.